For the first time since 2012, the prices of old French houses in France have slightly increased according to the latest property report published by the Notaires de France at the end of January. The report shows that, in the third quarter of 2015, the prices of older properties in mainland France rose 0.3% compared with the previous quarter in seasonally adjusted figures. In rural France, one of the best indicators of the state of the property market is generally the number of sales and, since the middle of 2015, the report shows that the annual volume of transactions has seen a gradual but increasing upturn. The number of transactions completed in the last 12 months was estimated by the Notaires of France as 792,000 which is up 12.5% over one year. This is the biggest rise since the spring of 2012. 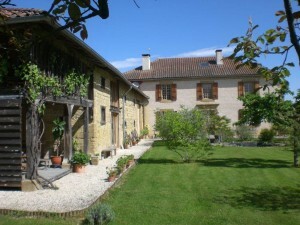 If there was ever a ‘best time’ to buy a house in France, this may be it.